The stand will be dedicated to SORALUCE milling-boring and vertical turning centers, showcasing the SORALUCE FMT multifunction center and the SORALUCE FXR-W milling-boring machine, a new generation of machines that incorporate advances never seen in this field. Both machines have the new DAS system (Dynamic Active Stabilizer), a device able to increase not only the mechanical stability of the machine but also, machining performance by up to 300 per cent. This reduces the classic regenerative effect of the chatter when turning. The DAS system improves surface quality, milling capacity, it also reduces the risk of breaking tools and it increases tool working life under extreme conditions of milling. The two machines are also the reflection of a profound re-design carried out by the brand in order to give greater ergonomics, safety and functionality. SORALUCE is clear that to improve performance of machining it is important to generate a comfortable area of work for the operator. And to achieve that, it has developed a totally new concept in the design that can be seen at different levels. For instance, the new cabin of the operator includes great improvements that enhance visibility and accessibility to work areas. It has also incorporated a new electrical elevation system which requires less maintenance, ensures optimal comfort while using it and the new peripherals are safer and more accessible, which means an increase in productivity and profitability of the machine. SORALUCE adds to these developments its traditional effort to customize its machines according to each costumer's particular specifications. 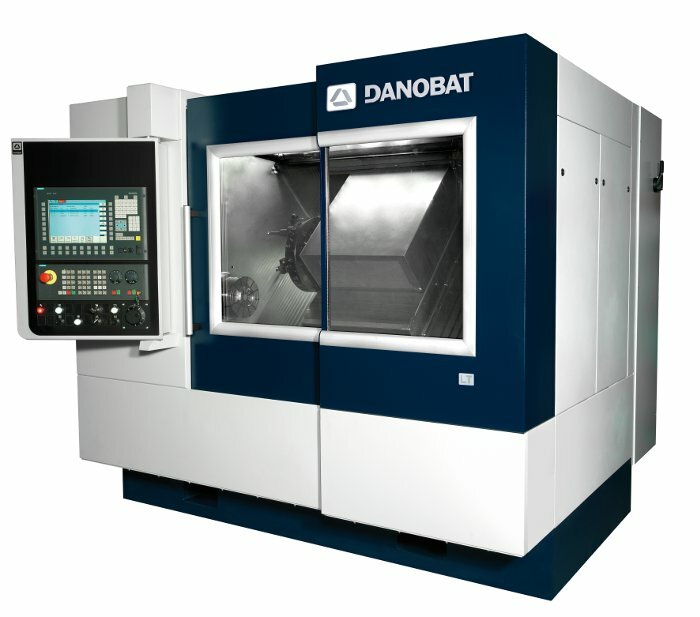 The stand will be dedicated to DANOBAT grinding and turning solutions, showcasing the following machines: The DANOBAT LT-400, an innovative high-precision hard turning lathe specially designed to work with both cylindrical and non-cylindrical parts, which makes it ideal for industries such as the automotive, hydraulic components, tooling and die precision parts, parts used for capital goods and all sectors where absolute finishing precision is required for parts with a high hardness. The lathe has been fitted with a granite bench, hydrostatic slides and heads, linear motors and a vibration damping system; The cylindrical centerless grinding machine, ECG-400 which stands out for being one of the most rigid centerless grinding machines available on the market to meet the most demanding requirements, including high speed manufacturing (120 m/s with CBN technology) paying special attention to rigidity and vibration damping; The DANOBAT LG-600, horizontal configuration external and internal grinding machine, capable of grinding a 300 mm external diameter within a maximum between-centres distance of 600 mm. Out-of-round grinding of components such as cams is also possible; and the DANOBAT-OVERBECK IRD 400 one of the three-models of IRD range of high precision grinding machines for internal, external, radius, face and unround grinding. Maximum internal grinding diameter is 200 mm, workpiece swing is 400 mm and maximum workpiece weight is 70 or 170 kg. The stand will be dedicated to sawing solutions, both bandsawing machines and circular saws, showcasing the following machines: the DANOBAT HDS 8A band saw, designed to obtain the best performances and get a higher productivity and blade life. This machine guarantees an accurate and fast cut of solids and tubes up to 800 mm. Columns and saw head are manufactured in one single piece and the guiding arm is adjusted automatically to the material width and is blocked hydraulically during the cut avoiding all vibration during the cutting operation. To optimize machine rigidity, material clamping is done from both sides of the blade. The sawing division will also be exhibiting the DANOBAT iDS 5A bands saw, which has a heavy duty construction that maximizes the latest and future developments in band saw blade technology, assuring an exact balance between cutting time and blade life. Cutting capacity up to 600x520 mm. The latest developments in circular saws will also be showcased: single blade saws or multi blade saws for faster cutting and longer blade change intervals. DANOBATGROUP is the sum of experience and cutting edge technology in constant evolution. Since more than 60 years leading worldwide companies trust in DANOBATGROUP.